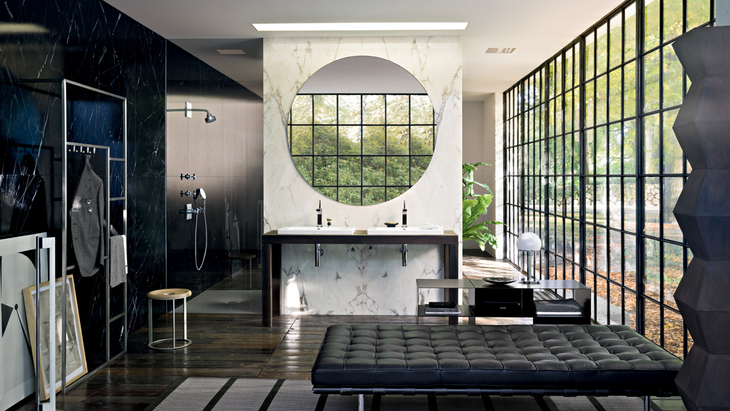 In the shower, the various exposed and concealed installation systems from Axor Citterio offer a luxurious water experience. With its three different jet types, the compact overhead shower for wall mounting embodies the ultimate in showering comfort. The collection's plate overhead shower is also available with ceiling connector. Completing the range are elegant showerpipes, which are particularly suitable for renovations.